The Three Amigos — Los Tacticales! 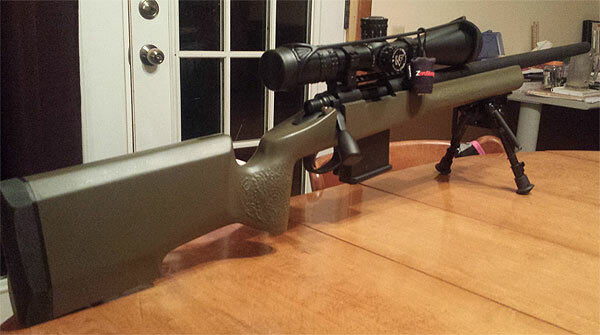 Many guys are lucky to have just one accurate tactical rifle fitted with a custom barrel and high-end optics. 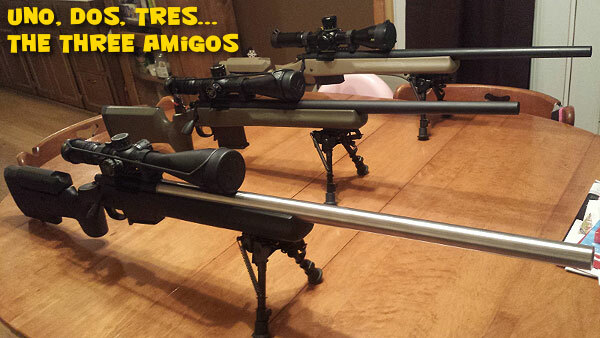 Well forum member Jerod (aka Stinnett1981) has three! Jerod calls his tactical trio the “Three Amigos”. All are built with Manners Composite stocks and Bartlein barrels. But there are three different chamberings. In order below (from top to bottom) are: .308 Win (Bartlein 5R, 1:10″ twist); .223 Rem (Bartlein 5R, 1:8″ twist);,and 6.5×47 Lapua (Bartlein 5R 1:8.5″ twist). Read on for a full description of each build. The tan rifle is Jerod’s .308 Winchester. It has a Manners T4A stock, trued Rem 700 SA, Badger M5 DBM, and Bartlein 5R 10-twist HV contour finished at 23″. 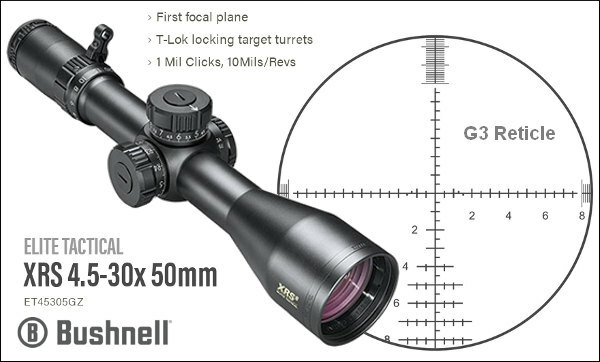 The optic is a Bushnell XRS 4.5-30X50mm FFP with G2 reticle scope. The Black rifle is chambered for the 6.5-47 Lapua. Components are: Manners T4A stock, Stiller TAC 30, Badger M5 DBM, Bartlein 5R 8.5-twist bull barrel (1″ at muzzle) finished at 26″. 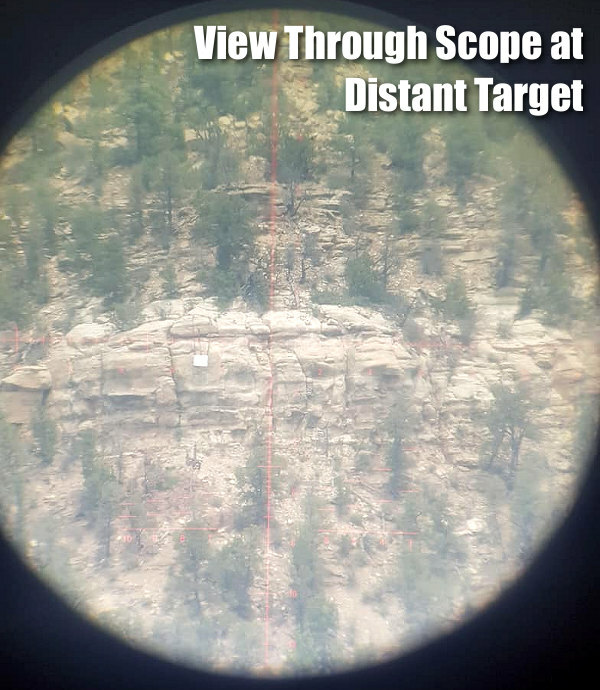 The scope is a Nightforce NXS 8-32X56mm with NP2DD reticle. 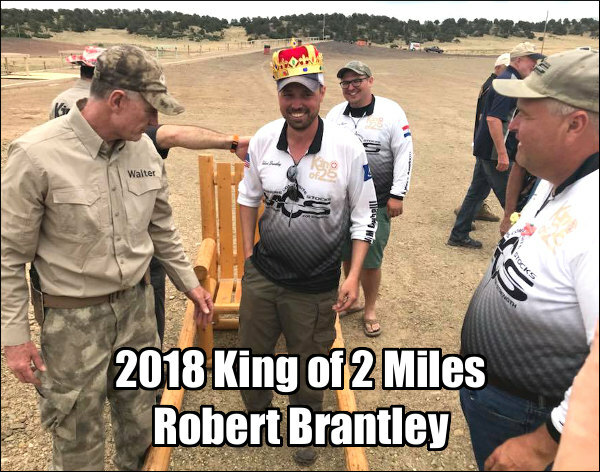 What Comes Next — A Rimfire Maybe? 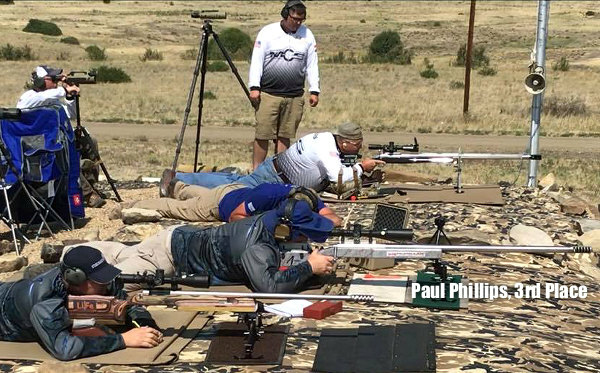 While Jarod’s Three Amigos make up a very impressive tactical troika, we’d like to see one more rifle added to the mix — a .22 LR rimfire rig, set up with a similar stock. 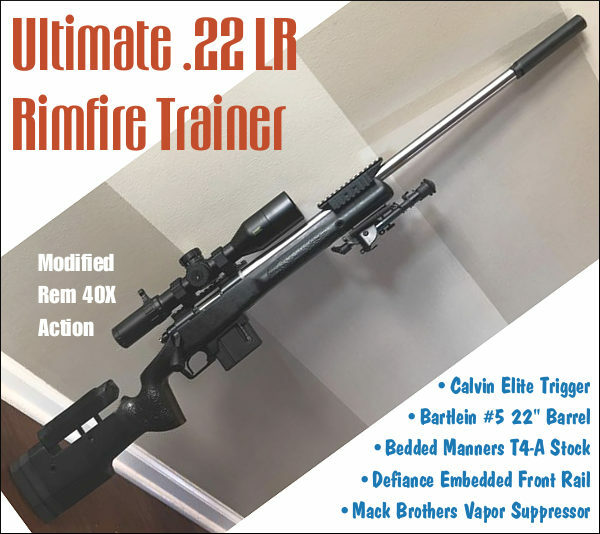 That would be perfect for low-cost cross-training, or competition in Rimfire Tactical matches. 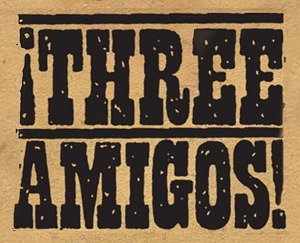 Jerod could build the “fourth Amigo” using a rimfire action. 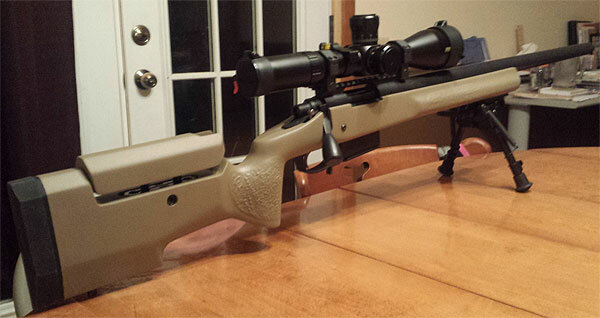 Here is just such a rifle, built by Brian of GA Precision with a modified Rem 40X action in a Manners T4A stock (matching Jerod’s centerfire stocks). Pretty cool eh? Share the post "The Three Amigos — Los Tacticales!" Gun-makers and barrel builders have adopted aerospace technology, using carbon fiber in their stocks and composite barrels. At SHOT Show 2018, we saw carbon applications on dozens of rifle brands. Some rifles sported full carbon stocks AND carbon-wrapped barrels. Others sported a carbon stock with steel barrel, or a carbon-wrapped barrel in a conventional stock. Carbon is definitely here to stay. This advanced material allows rifles to be lighter yet stronger. The advantages for the hunter in the field are real — a carbon-wrapped barrel can save quite a few pounds. 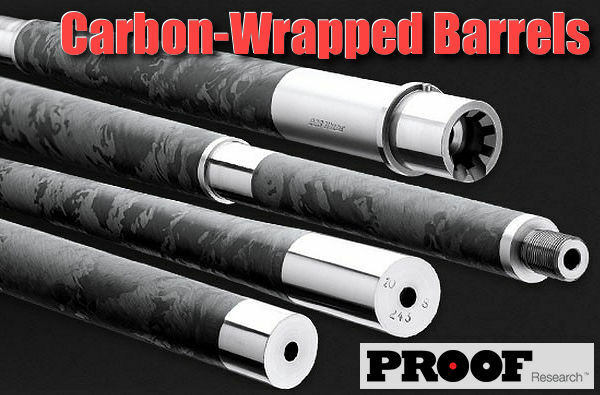 Here are some of the most notable carbon applications we saw at SHOT Show. 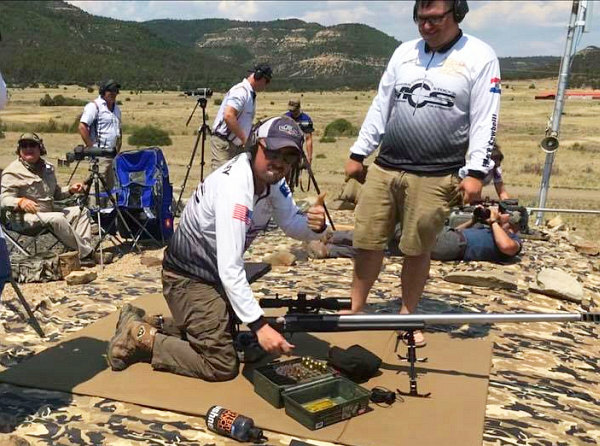 Possibly the best-looking carbon-stocked rifle at SHOT Show was the Sako 85 Carbon Wolf, featured in our Top Photo. New for 2018, this rifle features a full carbon composite stock, with the signature carbon fiber weave visible throughout. We found this new-for-2018 rig very ergonomic and nice to handle. The advanced-design RTW carbon fiber stock offers quick, push-button adjustments for comb height and LOP. Though not carbon-wrapped, the conventional 24″ blued steel barrel is fluted, reducing the overall weight of the rifle. 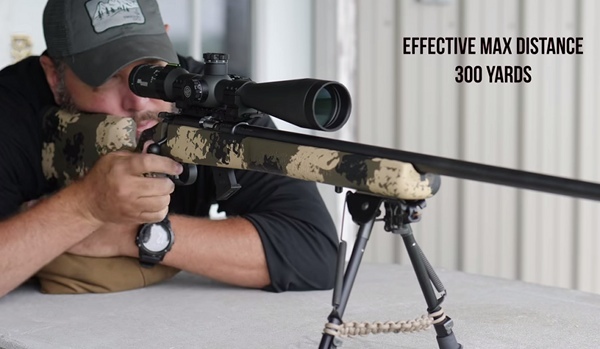 Without optics, this rifle weighs well under 8 pounds. We were impressed by the Carbon Wolf, but choked on the steep $3600.00 MSRP. Street price will be lower — EuroOptic.com is listing a $3148.00 price for the Sako 85 Carbon Wolf. The Firearm Blog says: “The stock features Soft Touch coating. Is is not at all slippery or loud like some carbon stocks can be. The barrels are factory threaded as well. Both the weight and the balance of the Carbon Wolf rifle felt perfect. I may have to add one to my Finnish rifle collection.” This is offered in 6.5 Creedmoor, .308 Win, .30-06 Sprg, 7mm Mag, and .300 Win Mag. 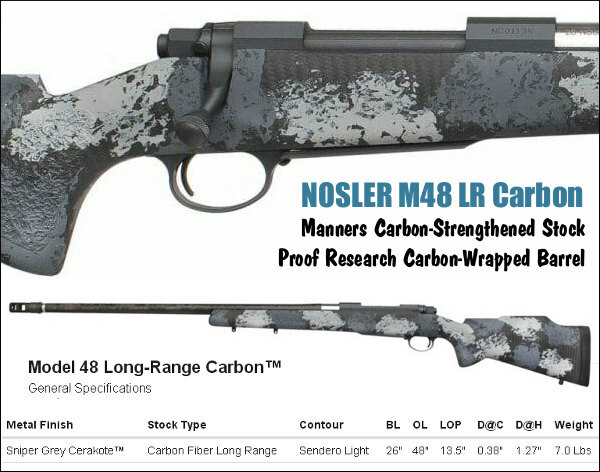 Nosler recently introduced the M48 Long-Range Carbon rifle with the addition of a PROOF Research, carbon fiber-wrapped, match-grade barrel that significantly reduces the overall weight of the rifle. 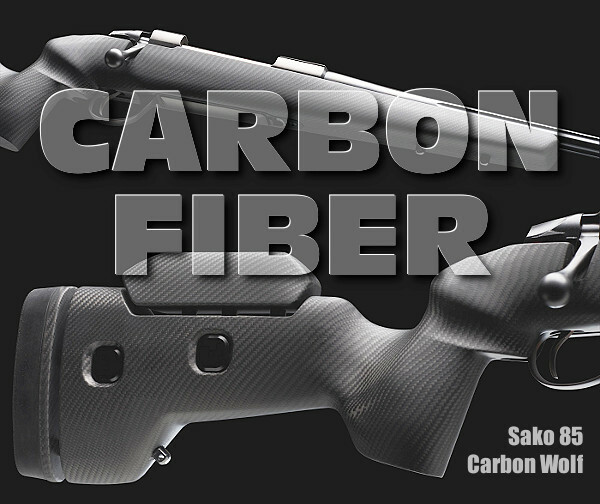 The carbon-wrapped Proof barrel is mated to a trued M48 receiver and bedded in a Manners MCS-T carbon fiber-strengthened stock. Nosler says: “The Model 48 Long-Range Carbon is an excellent choice for mountain hunting, backcountry excursions and long range competition where weight is a concern.” Initially, this rifle will be offered for 6.5 Creedmoor, 26 Nosler, 28 Nosler, 30 Nosler, .300 Win Mag, and 33 Nosler. 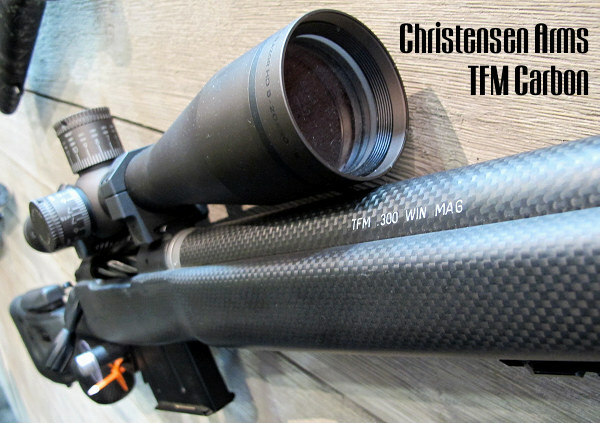 As you can see there’s a whole lot of carbon fiber in the Christensen Arms TFM rifle. With a carbon-wrapped barrel and full carbon-fiber stock, this handsome rig weighs just 7.3 pounds (short action) or 7.8 pounds (long action). The carbon-wrapped stainless barrel and fully-adjustable Aerograde carbon-fiber stock are mated to a precision-machined action via integrated carbon fiber pillars. In addition, the TFM includes an integrated, 20-MOA optics rail, detachable magazine, and a titanium side-port brake. 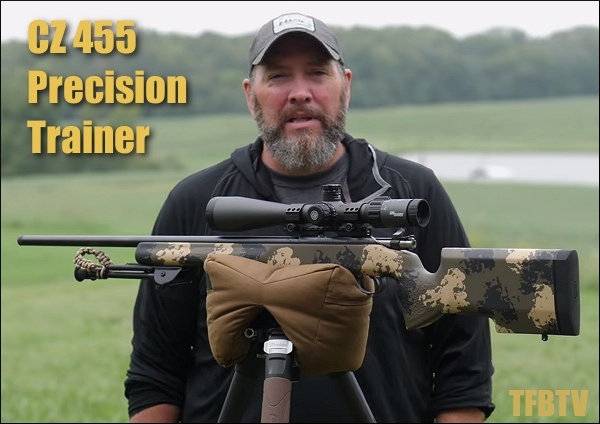 Impressively, Christensen Arms guarantees 0.5 MOA (half-MOA) accuracy. 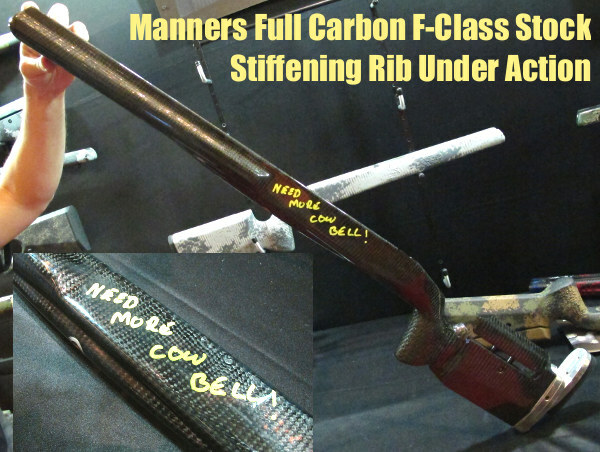 For many years now, Manners Composite Stocks has offered an ultra-stiff, Low-Profile ‘Fish Belly’ F-Class Stock. The shell is 100% carbon fiber with a very long, stiff fore-end. From the back of the action to the tip of the fore-end the stock measures 27″ long which is around 7 1/2″ longer than the Manners T4 stock. The idea is to provide a longer wheelbase to better balance the long, 30-32″ barrels favored by many F-Class competitors. The front half of the fore-end is very thin (from top to bottom) to achieve a low profile on the bags. Much thought has gone into controlling fore-end flex. The stock achieves greater vertical rigidity (less deflection under load) through an innovative “fish belly” design. The rounded undersection, like a canoe hull, strengthens the fore-end considerably. Weatherby now offers rifles with Proof Research carbon fiber-wrapped barrels. The aerospace-grade carbon fiber in the Mark V Carbon barrel makes the barrel up to 64% lighter than traditional steel barrels of the same contour. Weatherby claims the carbon-fiber technology improves heat dissipation — so the barrel does not heat up as quickly with extended strings of fire. The 26” #4 contour carbon-wrapped barrel has a cut-rifled, hand-lapped 416R grade stainless steel core with a flush thread cap and 5/8-24 muzzle threads. It’s finished in tactical grey Cerakote. The Mark V Carbon carries Weatherby’s SUB-MOA (at 100 yards) accuracy guarantee when used with Weatherby factory or premium ammunition. 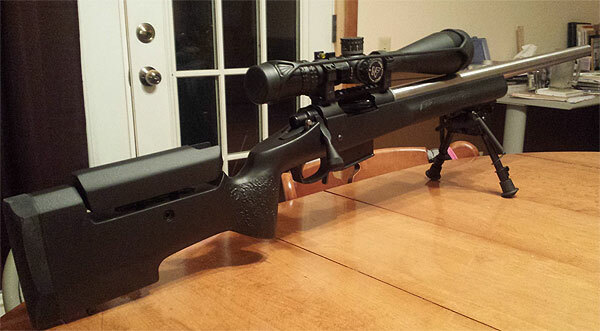 Fierce Firearms also offers a long-range hunting rig with a carbon-wrapped barrel. This is an extremely light rig. Without scope or optional muzzle brake, the short-action version weighs just 6.4 pounds. It is available in Black/gray, Green/black and a variety of Camo finishes including Kryptec Highlander and Typhon patterns. All this lightweight tech doesn’t come cheap. The Carbon Edge retails for $3250.00 and a left-hand version is $250.00 more. 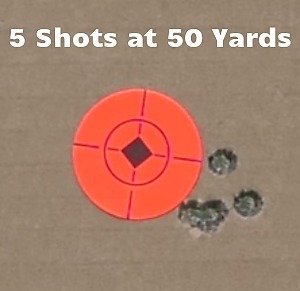 Fierce does offer a 0.5 MOA (half-MOA) accuracy guarantee, which is something. 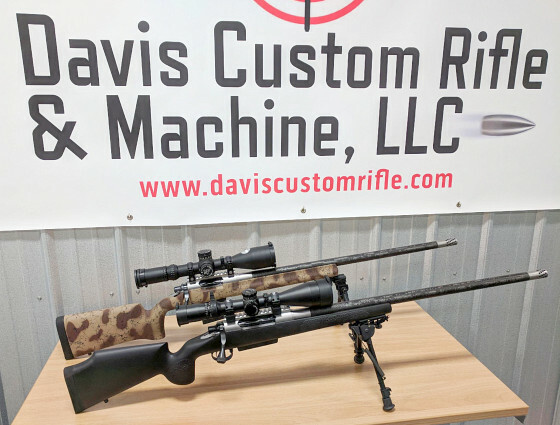 Over the past 15 years Davis Custom Rifle has installed barrels from most major barrel manufacturers. We are very fortunate to have such quality barrel makers. I think Proof Research falls into that top-of-the-line category. Proof Research carbon-wrapped steel barrels are super light-weight, yet offer rigidity and superb accuracy. 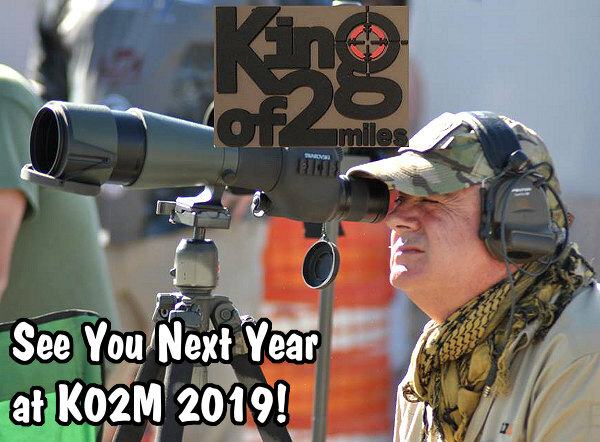 I have used them for 22-250, 6mm/6.5mm Creedmoor, .308 Win builds and multiple long range hunting rifles in .280, .280 AI, .300 WSM, .300 Win Mag, 28 Nosler, and 30 Nosler. 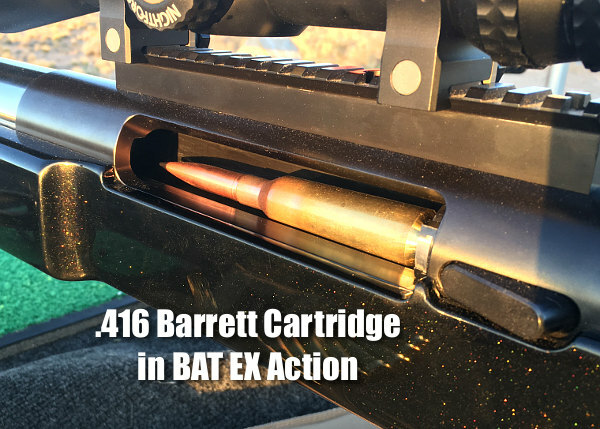 These builds with Proof Research barrels typically deliver quarter-MOA accuracy or better. The Proof Research technology allows us to build lighter rifles with outstanding accuracy, easy cleaning, and the ability to shoot long strings without point of impact shift. 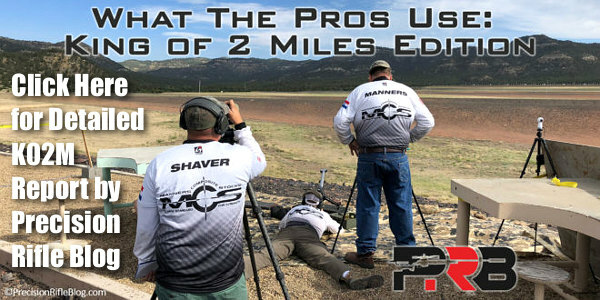 It’s not hard to understand why hunting rifles with these capabilities are in high demand. Combined with other light-weight components (such as Titanium actions), it’s not difficult to get these rifles down to 6.25 to 7 pounds total weight before optics. Share the post "Carbon Fiber for the Latest Generation of Rifles and Barrels"
The original CZ-455 Varmint Tacticool was built as an affordable tactical trainer with the ergonomics and stock profile of a full-size centerfire tactical rig. The Tacticool’s stock looks similar to the Manners Composites stock on CZ’s 455 Varmint Precision Trainer, but the wood-stocked ‘Tacticool’ version is much less expensive. The CZ 455 with Manners stock retails at $940.00 MSRP while the latest suppressor-ready Tacticool model lists for $549.00 MSRP. The $391.00 you save will buy a LOT of ammo (or a scope). At $940 MSRP, the CZ 455 Precision Trainer in Manners Stock is much more expensive. Share the post "Smart Choice: CZ 455 for Rimfire Cross-Training"
Are you looking for a .22 LR Rimfire rifle that has the look and feel of a centerfire rig? Then check out the CZ 455 rimfire rifle featuring a black-finished, laminated wood stock. This gun, dubbed the Varmint Tacticool Suppressor Ready by CZ-USA, features a 5-round detachable magazine and adjustable trigger. It comes with a short 16.5″ barrel with threaded muzzle for easy installation of a “can” (suppressor or sound moderator). CZ also offers a versitile twin-caliber CZ-455. The CZ-455 American Combo comes from the factory with two (2) fitted barrels, one in .22 LR and the other in 17 HMR. This effectively gives you two rifles for not much more than the cost of a .22 LR rig. And the 17 HMR cartridge really extends your effective range on varmint hunts. Switching barrels is easy — simply remove the two action screws to release the barreled action then loosen two set screws that retain the barrel. No need to worry about headspace — the barrels are pre-fit and drop-in. The video below shows how the barrel exchange system works. Share the post "Versatile Rimfire Cross-Training Rifles from CZ-USA"